Pioneering technology developed by a Leicester diabetes training programme for healthcare professionals has won a major award for improving the NHS. Effective Diabetes Education Now (EDEN), which was created to provide education and a range of services for healthcare professional staff involved in diabetes care, has been presented with a Health Service Journal (HSJ) 2017 Value in Healthcare Award. EDEN has provided training in both the UK and Internationally. The programme, which was created by the Leicester Diabetes Centre and is part of University Hospitals of Leicester (UHL), and is an international centre of research, education and innovation in diabetes. The team was recognised for its innovative Training and Overview Database (TOD), which uses technology to generate course recommendations for diabetes training, while also monitoring response rates and urgency of training needs. EDEN took first place in the Training and Development category of the highly prestigious awards, which recognise and reward outstanding efficiency and improvement by the NHS. EDEN’s Education Support Manager Petra Jones added: “Our software app utilises artificial neural networks to make decisions about who needs diabetes training, what kind, and to determine the urgency of their need. The awards recognise and reward outstanding efficiency and improvement by the NHS across the 20 categories. They also seek out examples of demonstrable improvement in outcomes, both within back office functions and clinical initiatives. The judges said they were impressed with the use of “big data to provide real time training needs analysis, focused on the specific needs of individual populations of patients. The approach really supported value in the delivery of training by identifying specific learning needs”. 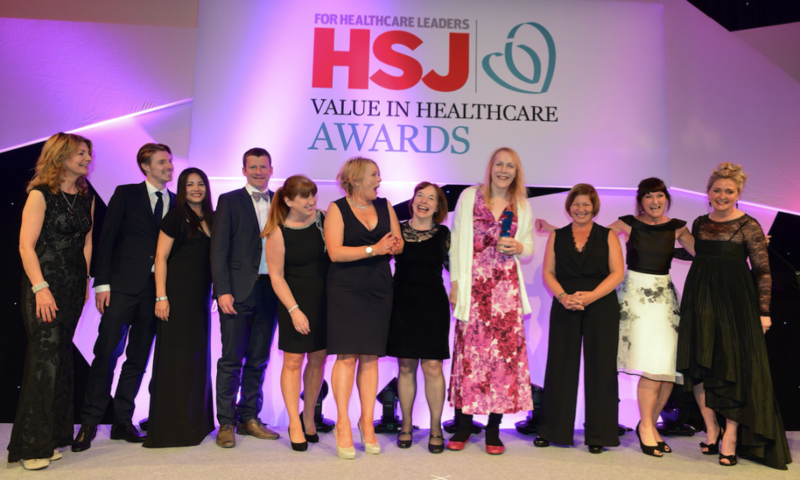 The winners of the HSJ Value in Healthcare Awards 2017 were announced earlier this month at an awards evening held at London’s Grosvenor House.